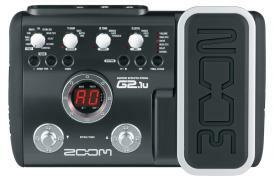 Even the best signal processor can’t make up for a bad guitar sound. Too often engineers and producers tell worried guitar players, “We’ll fix it in the mix,” or, “I know it sounds a little funny now, but we’ll sprinkle some fairy dust on it and it’ll sound killer.” Statements such as these are, in my humble opinion, a crock. There are many things you can do to a bad guitar sound—you can flange it, EQ it, play backwards or bury it in reverb—but 99 percent of the time you’ll just end up with a bad guitar sound that’s been flanged, EQed, played backwards and buried in reverb. What you need to do, in the studio or on stage, make sure you can hear the sound you want coming out of the speakers. After that, the engineer can add effects to his heart’s content. 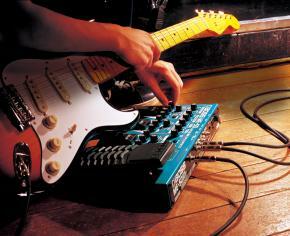 Remember: effects devices are only enhancements—they don’t create any sound by themselves. 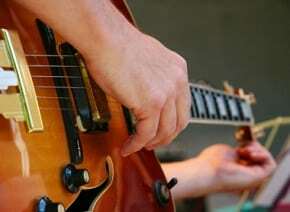 They can only with the sound that already exists in the program material (your guitar sound). For example, if your sound is too dull or dark-sounding, you might want to add some top-end EQ to it. The way EQ works is to find selected frequencies (in this case, treble), and boost or cut them relative to the rest of your sound. But if your original signal doesn’t contain any of the high frequencies you’re trying to boost, all the EQ will do is boost the hiss and noise at your selected eq point. Plan ahead and have a clear idea of what you want your end product to be, then set up your guitar equipment to produce that sound. This is part of what the great producers and engineers do. If you find that you’re spending an inordinate amount of time trying to get your guitar part to sound right with effects, you may save time by going back and re-recording it. You can’t make a Strat from an accordion. 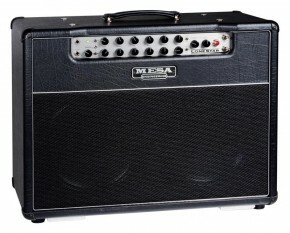 Also check out the Mesa Boogie Lonestar guitar amplifier. Please leave a comment below.